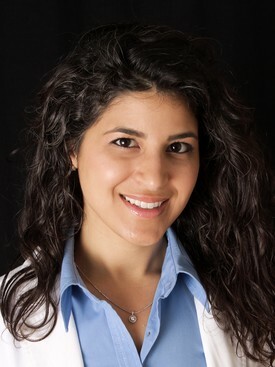 Dr. Leyla Sahabi attended University of California Los Angeles (UCLA) for her undergraduate before going to Boston University Henry M. Goldman School of Dental Medicine to receive her DMD degree. She is also a preclinical and clinical faculty instructor at UOP School of Dentistry in San Francisco. She believes in keeping herself up to date with the latest trends and technology and cares for her patients on a personal level. She is passionate about cosmetic and preventive dentistry and her philosophy of dentistry is achieving aesthetic results with a minimally invasive approach. 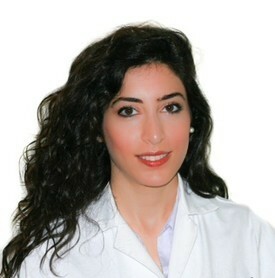 Dr. Leyla has consistently been recognized by her staff and colleagues for her exceptional work ethic and dedication. She likes to positively affect patients' lives by improving their smiles and general oral health. When she is not practicing dentistry, she loves spending time with her husband and her daughter. She also likes to spend quality time with her friends and family. She enjoys hiking, camping, and doing yoga as well as traveling to learn more about different cultures and people. Dr. Askari is a Bay Area native who has been practicing dentistry for seven years. She grew up in Cupertino before moving to Southern California to study biology at UC Irvine. After her undergraduate studies, she decided to move to the East Coast to attend Boston University's Goldman School of Dental Medicine. She truly enjoyed the experience of living in Boston and always holds a special place in her heart for that city. After graduating from dental school, she returned to California to begin practicing dentistry. She now prides herself on providing clinical care of the utmost quality and on being very gentle and caring towards her patients. She has received countless glowing reviews and her patients continue to return to her, sometimes traveling long distances to do so. She’s an expert in general dentistry as well as some specialty procedures such as root canals, cosmetics, dental implant restorations and Invisalign. She has a great passion for traveling and Greece has been one of her favorite destinations. She loves to cook, but more importantly, she loves to eat and appreciates restaurant recommendations! She enjoys spending time with her family and friends, especially her husband and her daughter.